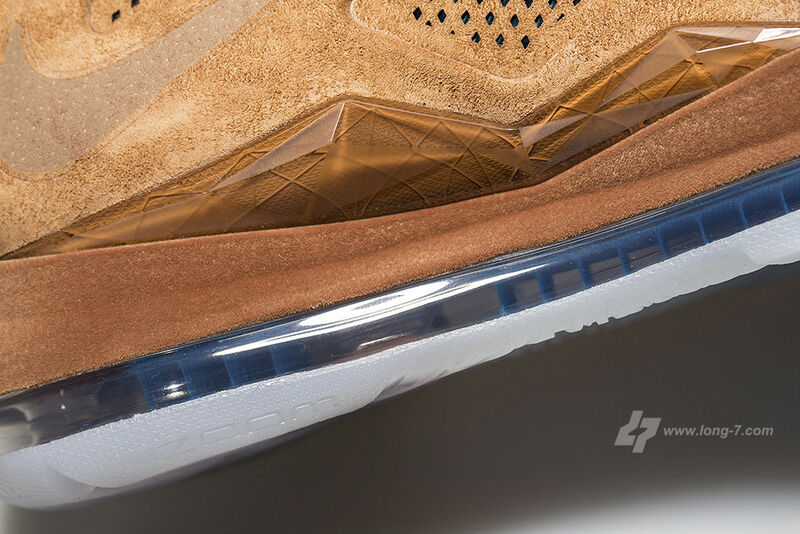 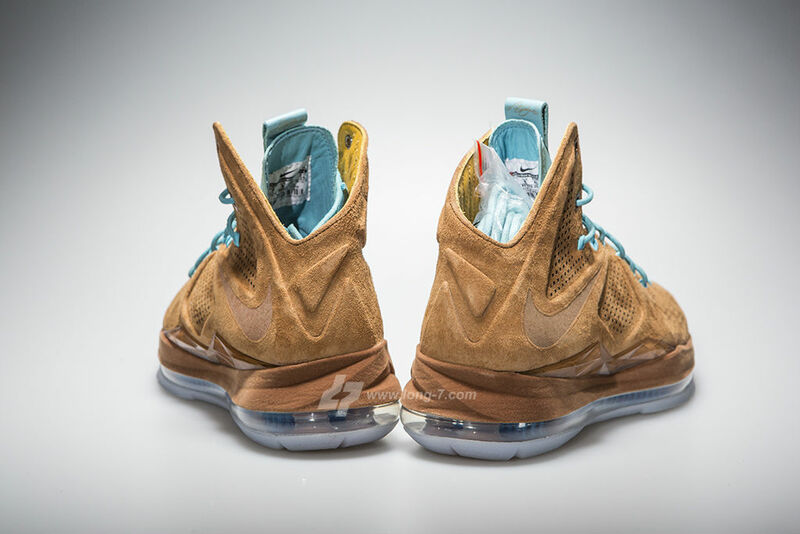 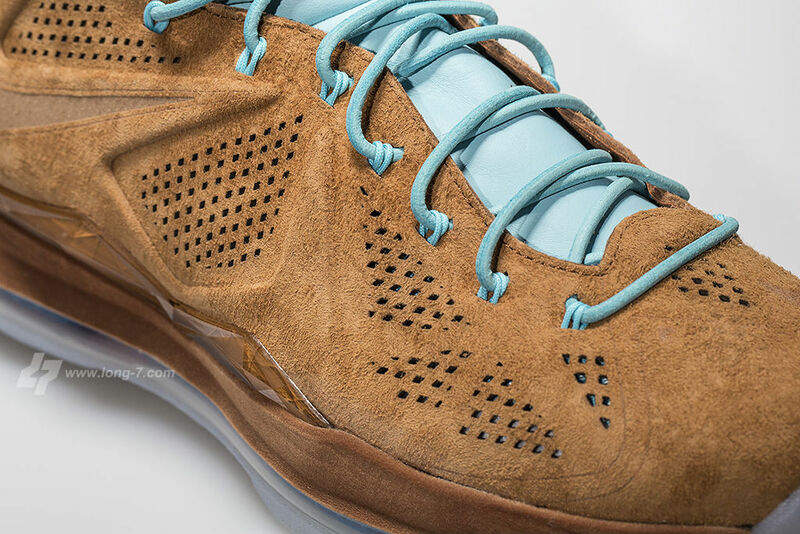 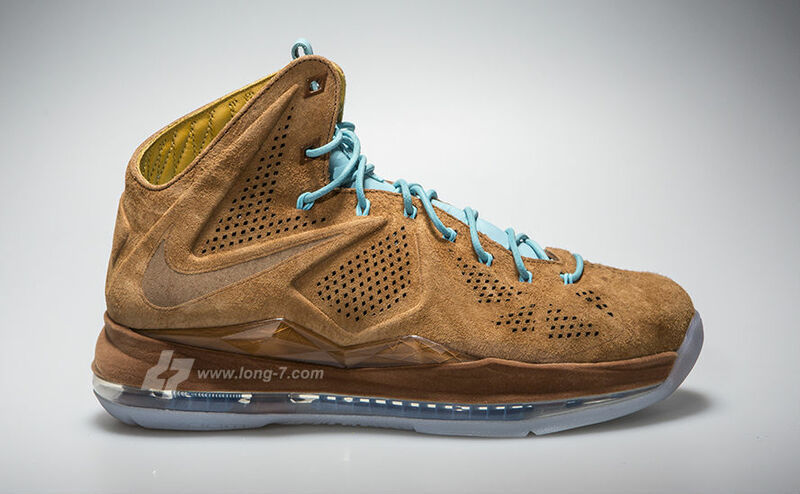 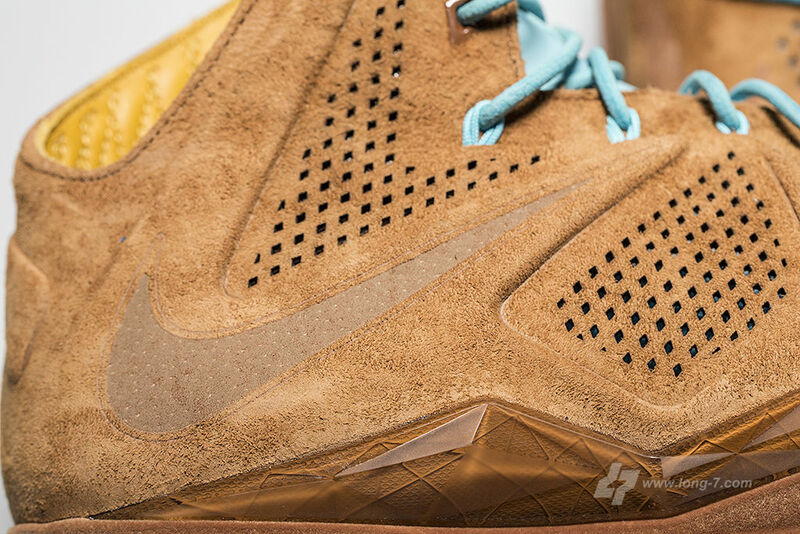 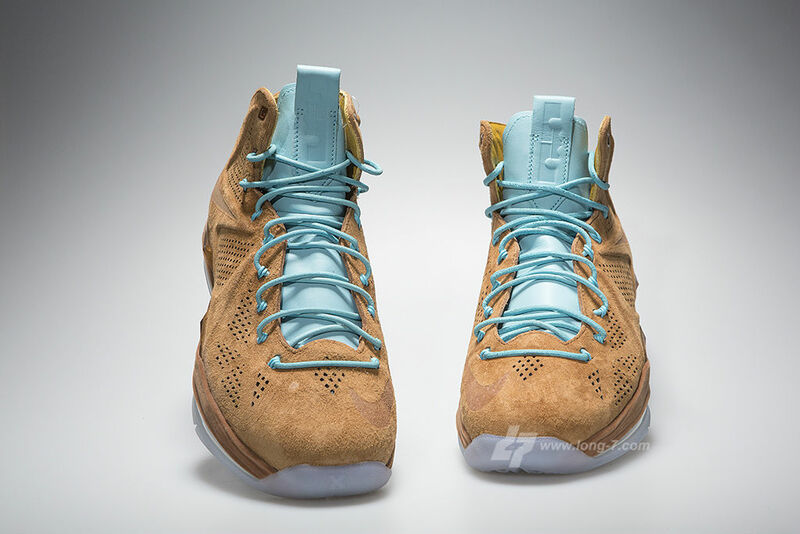 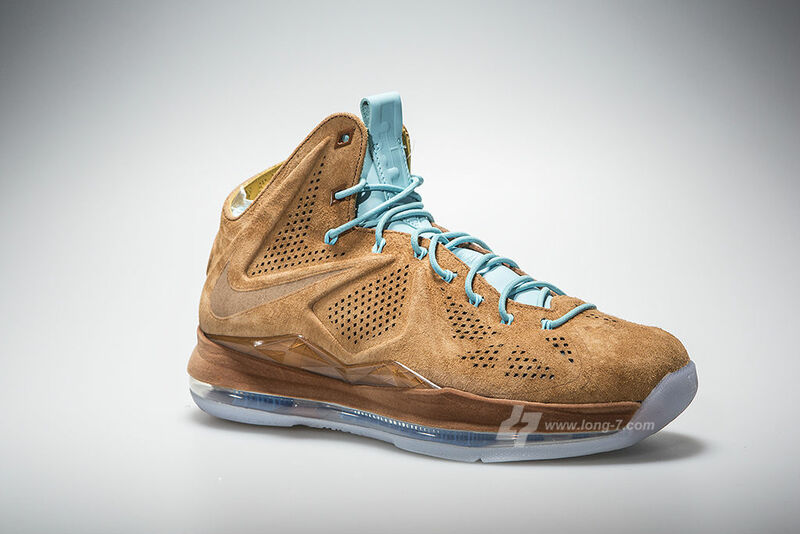 After a few months of previews, here's our most detailed look at the "Brown Suede" Nike LeBron X EXT to date. 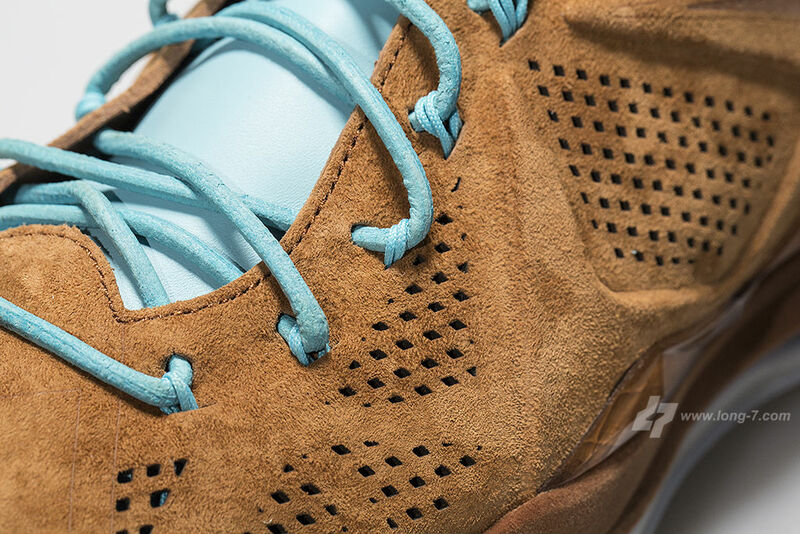 One of three suede EXT colorways that has been making rounds, this pair sports a hazelnut upper, tan leather lining and light blue hits on the laces, tongue and full-length Zoom back. 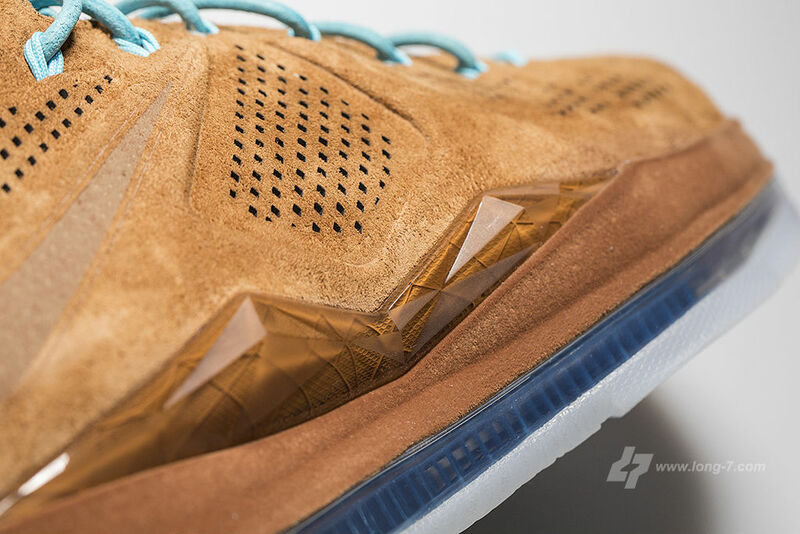 Below sits a translucent rubber outsole. 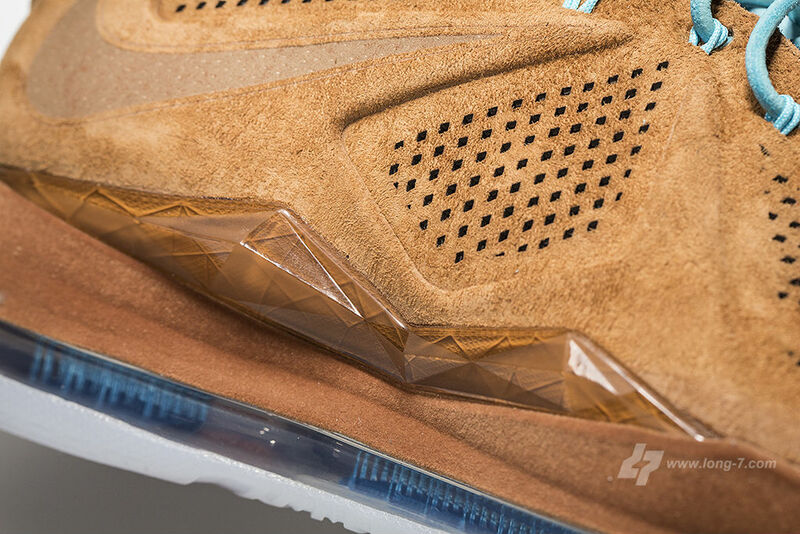 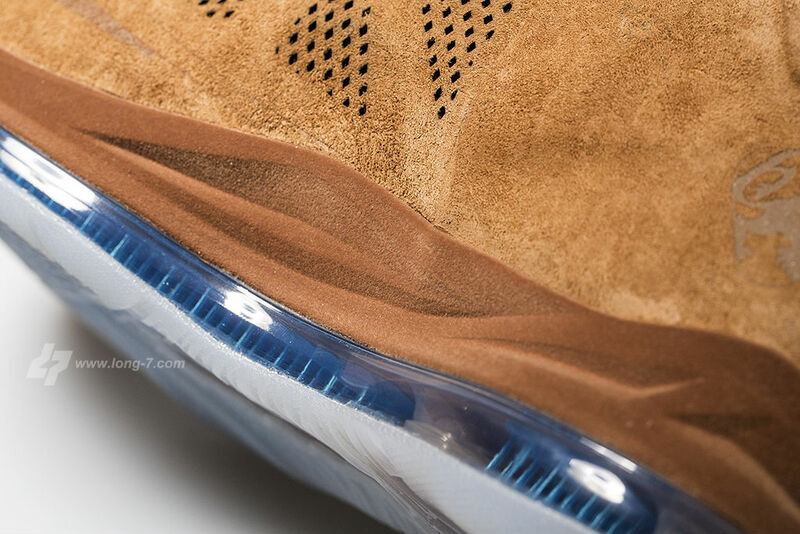 According to Long-7, the release of the "Brown Suede" X has been delayed to at least mid-June. 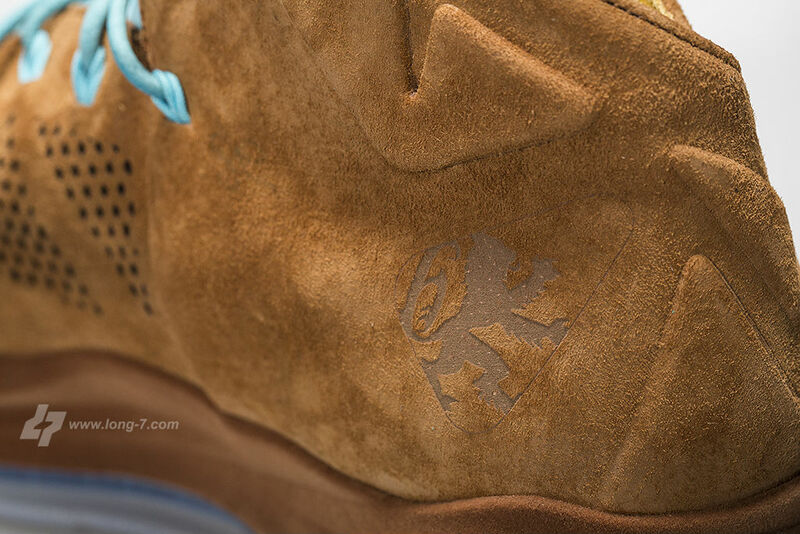 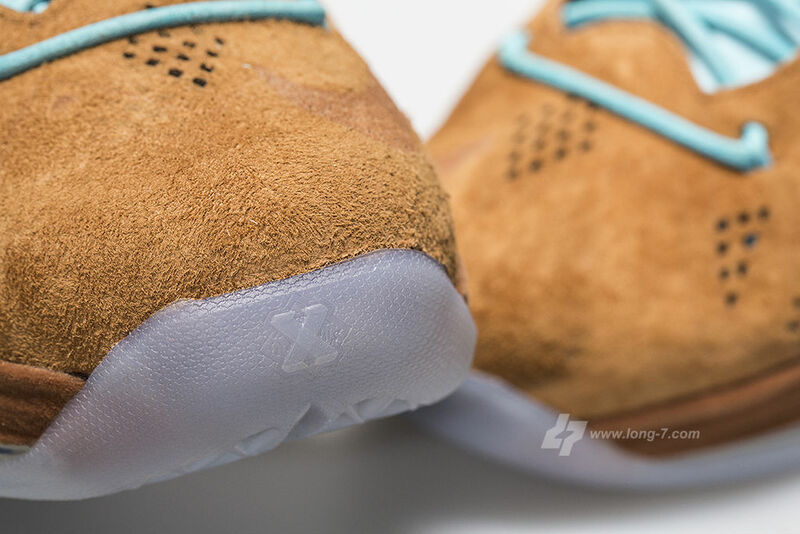 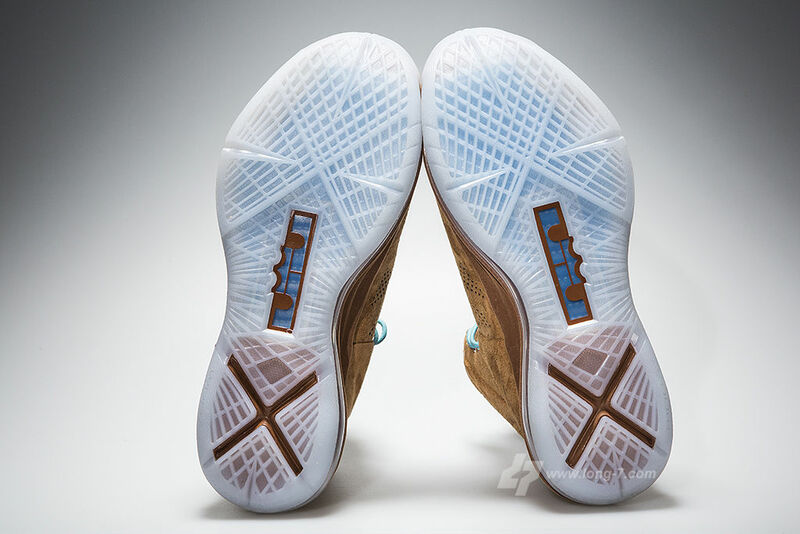 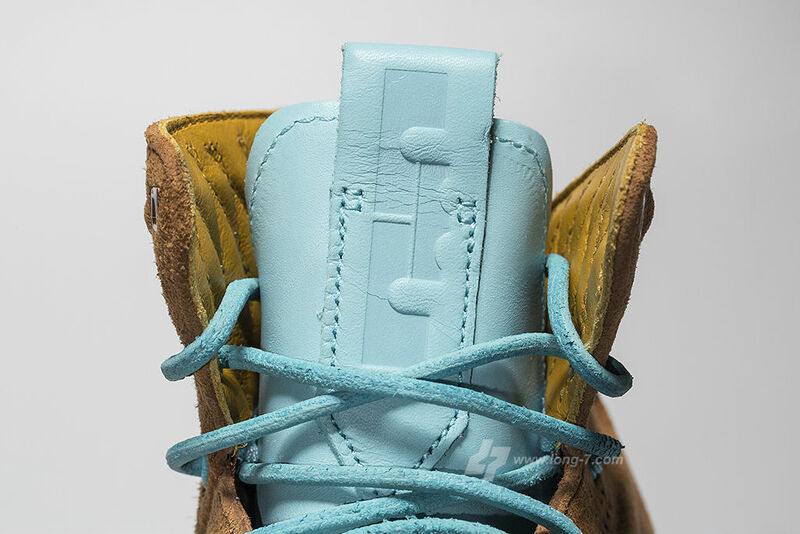 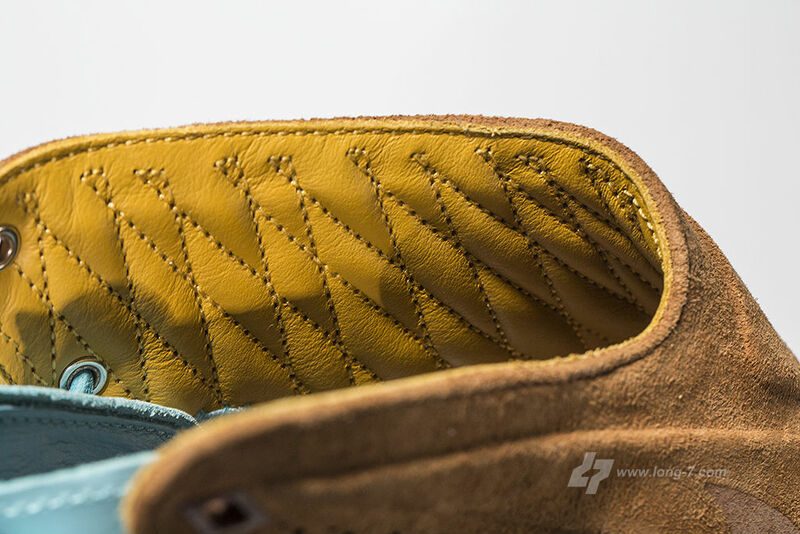 Enjoy the close-up shots below and we'll continue to follow the story here at Sole Collector.